Leading Manufacturer of hand painted print wood decorative enamel serving bowls, blue white wooden enamel serving bowl, handcrafted wood enamel serving bowl, blue white enamel round wooden serving bowl, wooden enamel medium size serving round bowl and floral pattern wooden resin soup bowl from Jaipur. Handcrafted from mango wood, this bowl sports printd interior and natural grain finish exterior that highlights the warmth and character. This wooden bowl will be suitable for your contemporary setting. wood option : mango or acacia (babool) . Oilve oil polish type. size & color can be customized. 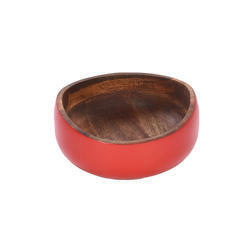 Beautifully crafted mango wood bowl adds a new dimension to your serving as well as decor. 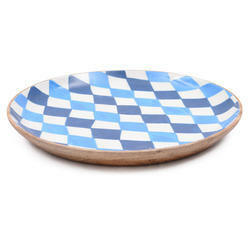 This serving bowl features blue white printed interiors with natural wood exterior. 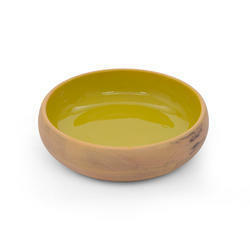 Made from mango wood with classic interior, this bowl brings a lovely organic charm to your dinner or lunch table. This handcrafred wooden piece is perfect for kitchen storage, serving and even display. 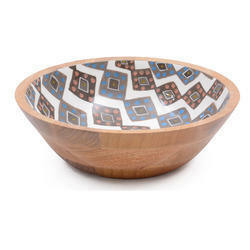 Create a contrast between natural wood pattern and the bold pattern of the enamel with this round bowl. 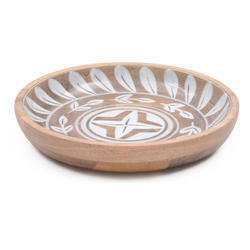 This beautifully mango wood bowl features bluw and white colored intricate pattern. 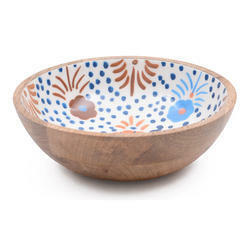 This rustic enamel and wood bowl is a combination of rustic mango wood exterior and smooth enamel finish interior. keep it filled with fresh fruits or salad on your dining table. WOOD OPTION : MANGO OR ACACIA (BABOOL) . OILVE OIL POLISH TYPE. SIZE & COLOR CAN BE CUSTOMIZED. 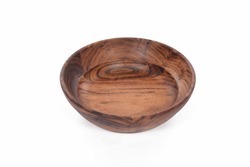 Beautiful and outstanding, this wooden bowl is the perfect way to grace your table. 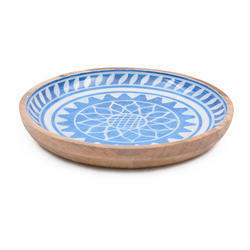 Geometric pattern in blue, white and brown graces the inside and the natural wood highlights the outside of this bowl.WOOD OPTION : MANGO OR ACACIA (BABOOL) . OILVE OIL POLISH TYPE. SIZE & COLOR CAN BE CUSTOMIZED. 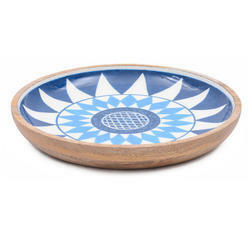 With a beautiful combination of blue and white, geometric design, and mango wood construction, this wood bowl is perfect to add a pop of colour and an organic charm to your dining table. Warm wood and vibrant enamel combine in a white and blue making this gorgeous bowl an exotic accent to table decor. 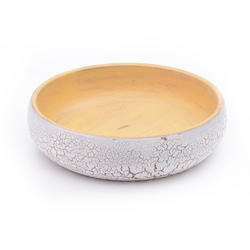 Flaunt your luxury with this amazing bowl and make a style statement. 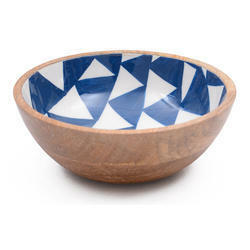 Crafted from sustainable mango wood, and featuring bold triangle design in blue and white, this enamel and wood bowl will add an organic appeal to your dining table décor. 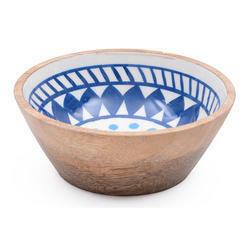 Featuring rich natural wood and beautiful blue white interior, this round bowl has a striking contemporary look. 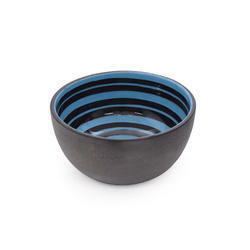 This beautifully hand crafted bowl is ideal for serving snacks, salads and storing. Contrasting textures come together for a sleek look and a chic combination in this wood and bright colored enamel. Use this exotic creation as a decorative and can impress your guests. 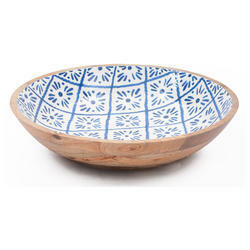 This beautiful salad bowl is made of mango wood and has a beautiful design in white and blue. 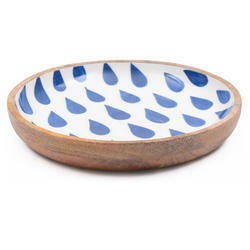 The enamel coating makes this decortive wooden bowl completely food safe and looks good too. Upgrade your kitchenware collection with this beautifully designed serving bow. 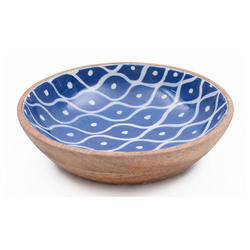 Crafted from a fine quality mango wood, this bowl features attractive printed interior in blue and white color. 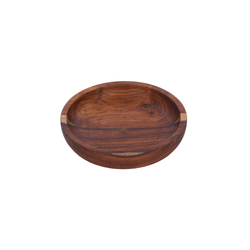 Enhance your range of serveware by bringing home this mango wood serving bowl. This decorative wooden features beautiful floral prints on it that will enhance the decor of your serving table. 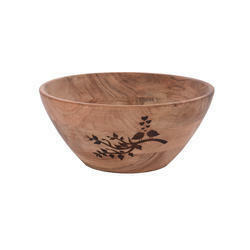 Fabulous and gorgeous in design, this wooden bowl would definitely spruce up your serveware collection. It flaunts beautiful white patterned interior and natural wood exterior that lends it a rustic look. Bring home this decorative bowl for adding a touch of elegance to your serveware. 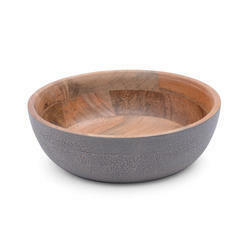 Offering durability and class, this intricate dimaond pattern printed bowl is a made with mango wood. 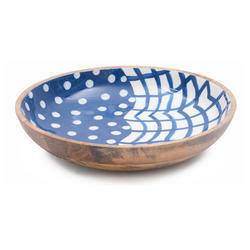 Add spark to your serve ware collection with this designer wooden bowl. Featuring triangle pattern print design in attractive blue color, this decorative bowl will be a fine addition to your kitchen décor. This bowl is perfect for serving family meals in timeless style. It is a contemporary, sophisticated approach to home dining and entertaining.Note: Size Color can be customized as per your requirement. These chop boards can be a good edition for your kitchen Accessories. 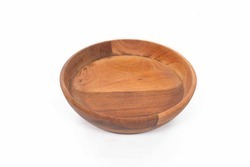 This Wood Bowl can be use as serving bowl, salad bowl. Size : can be customized as per your requriement. 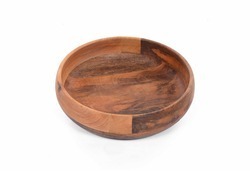 With its rich earthy tone and fabulously smooth finish, this soulful creation wood salad bowl helps you serve food with a touch of all-natural goodness. Bring home the chic and beautiful Salad Bowl. It is made out of wood and its solid construction enables years of functionality. Note: Size & Color can be customized as per your requirement. 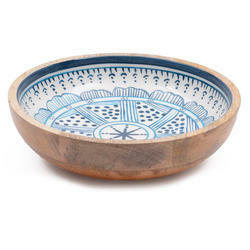 This lovely wooden bowl makes for an attractive addition to any serveware collection. This versatile creation can be used to serve salads, nuts, popcorn, nachos and more. 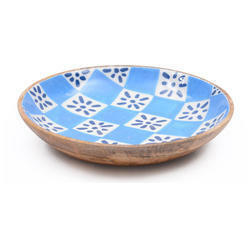 A unique showcase for nuts, or crackers, decorative knick knacks or trinkets, this bowl is crafted of mango wood with white blue interior. The bright enamel coating provides an eye-catching contrast with the natural wood finish. 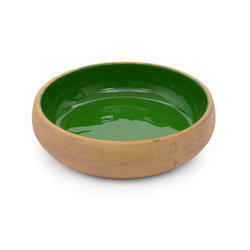 This is a extremely stylish and unique mango wood serving bowl with enamel finish. 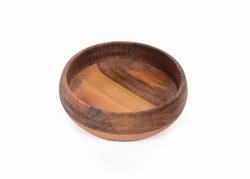 With the mango wood outer the bowl can be placed on your table and used as a piece of serveware. This is also a great storage for trinkets.WOOD OPTION : MANGO OR ACACIA (BABOOL) . OILVE OIL POLISH TYPE. SIZE & COLOR CAN BE CUSTOMIZED. 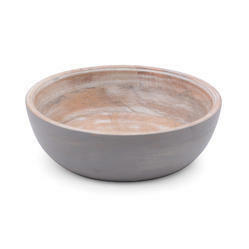 Generously sized, beautifully shaped bowl perfect for salads, fruits or even as a centerpiece bowl. Solid wood finish compliments any decor.Note: Size Color can be customized as per your requirement. The Classic shape of this bowl make it beautiful addition to any dinner table. 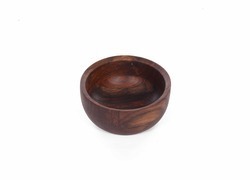 This Wooden bowl has a natural and classic style. Combining the natural beauty of wood with this bowl is a unique and contemporary serving piece. It is the perfect accessory to compliment any dinning able. Size And Color Can Be Customized. 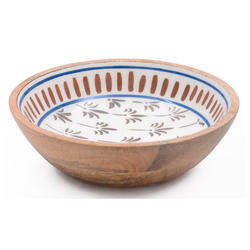 Crafted owith solid wood, this lovely bowl serves vegetables, fruit salad, pasta and more. Wooden construction give it a simple yet stylish look. Note: Size Color can be customized as per your requirement. 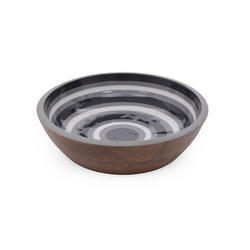 This gorgeous serving bowl exude an earthy charm in your home. It puts a sensuous touch to everything you serve, be it nuts, berries or even simply assorted candies. 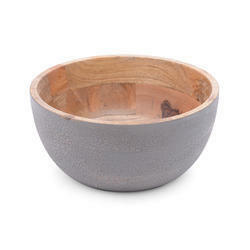 The solid wood bowl has a classic, yet contemporary, style. This would make a wonderful gift for the chef in your life! This salad bowl is practical and environmentally friendly. This has a lovely finish and will definitely fetch you a lot of complements. 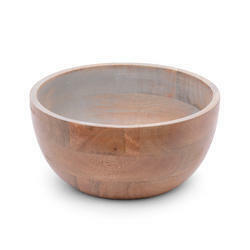 This wooden bowl is a practical addition to your kitchen. It is just right for salads, easily the center of attention on any dinner table. 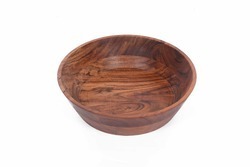 Meticulously handcrafted, the vintage wooden bowl is perfect for serving salads, popcorn for movie nights or making a great centerpiece for storing your fruits. Serve food in style. It's classic, wooden construction will look incredible on your kitchen table, adding warmth and a personal touch to any meal. A charming twist on rustic-chic style, this kitchen must-have solid wood bowl abounds with classic style and elegant details.